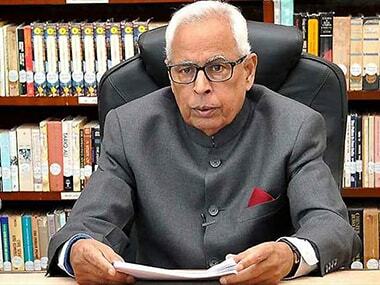 Srinagar: The annual Amarnath Yatra began on Thursday despite inclement weather as Jammu and Kashmir governor NN Vohra attended a prayer inside the Himalayan cave shrine marking the formal start of the pilgrimage. 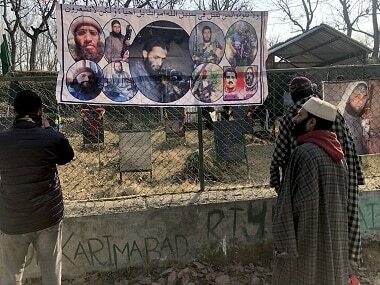 Over 6,000 pilgrims were allowed to move towards the shrine from north Kashmir's Baltal base camp while 5,000 pilgrims proceeded from the traditional south Kashmir Pahalgam route. Vohra, who is also Chairman of the Shri Amarnathji Shrine Board (SASB), performed prayers at the cave shrine. The SASB manages the affairs of the Amarnath Yatra. A pilgrim from Jammu, Bhushan Kotwal, was killed earlier on Thursday by a shooting stone near the Baltal base camp. The district magistrates of Ganderbal and Anantnag flagged off the Yatra earlier on Thursday. Around 1.2 lakh pilgrims have registered themselves this year. Earlier, 66 vehicles with 2,481 pilgrims left the Bhagwati Nagar Yatri Niwas from Jammu. An official said while 1,616 pilgrims were bound for the Pahalgam route, 865 would take the Baltal route. Unprecedented security arrangements have been put in place for the Yatra based on the threat perception. 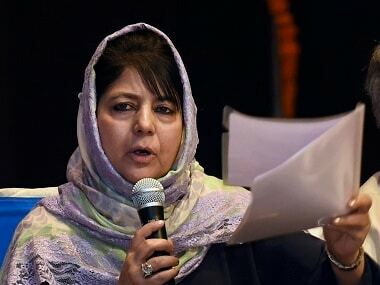 Among the steps are a satellite tracking system, drones, mobile bunker vehicles and road opening parties (ROPs) along the entire route from Jammu to Pahalgam and Baltal. 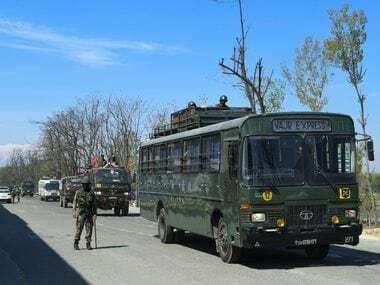 The army, the Central Reserve Police Force, the Sashastra Seema Bal and the state police are providing multi-layered security to the pilgrims. Heavily fortified security force camps have been established both at Baltal and Pahalgam base camps. It takes a pilgrim just a day to return to the Baltal base camp after reaching the shrine. But the same pilgrimage from Pahalgam takes four days. The distance from Baltal to the cave is 14 km and from Pahalgam 46 km. The cave houses an ice stalagmite structure believed to symbolize the mythical powers of Lord Shiva. The structure waxes and wanes corresponding to the visible moon. 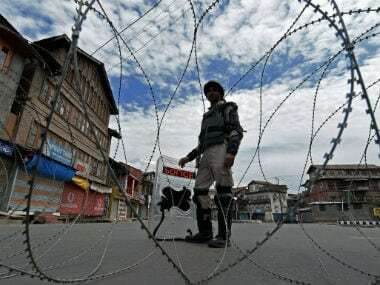 The 40-day yatra to the shrine in south Kashmir's Anantnag district would end on 7 August on Shravan Purnima coinciding with Raksha Bandhan festival.